Good Morning Surfers! Out here on Pensacola Beach it is another beautiful day. 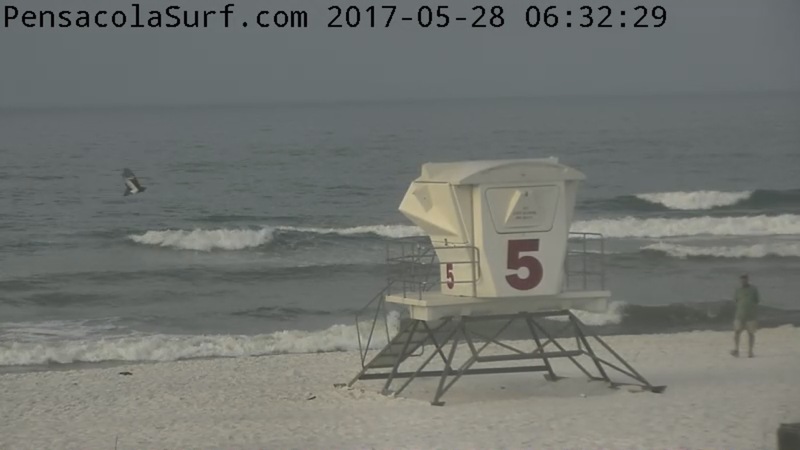 There is a light Southwest wind at 5 mph right now and the Gulf is pretty glassy. 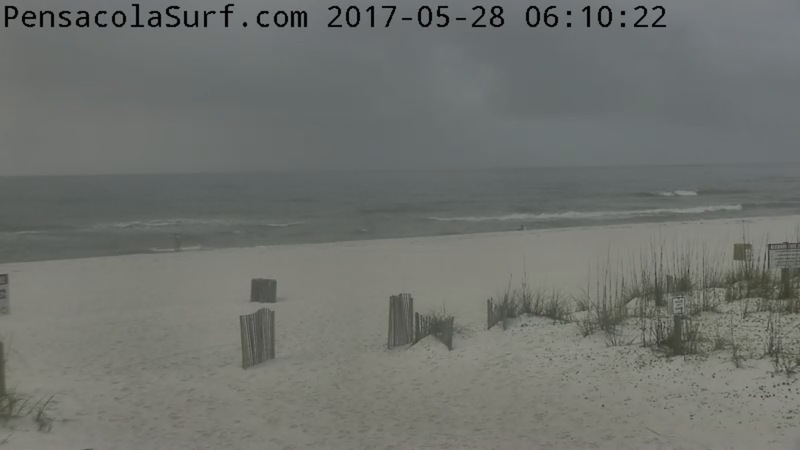 There are a few small patches of rain in the Gulf that might develop into afternoon showers later. 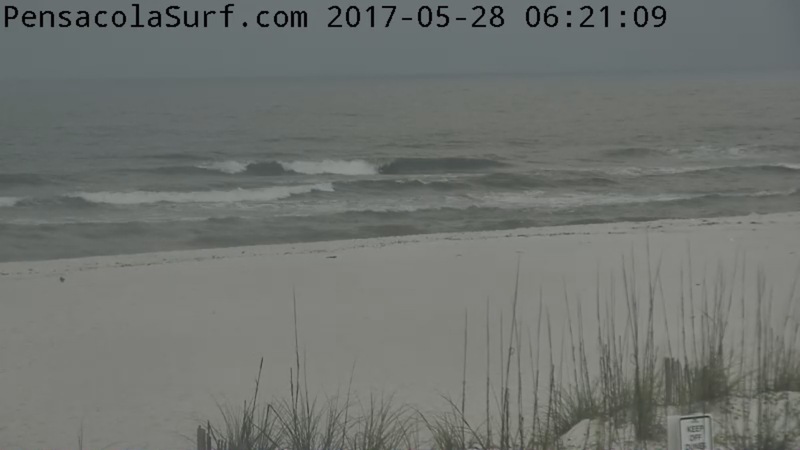 The tide will be high at around 1:40 this afternoon and low just after midnight tonight. 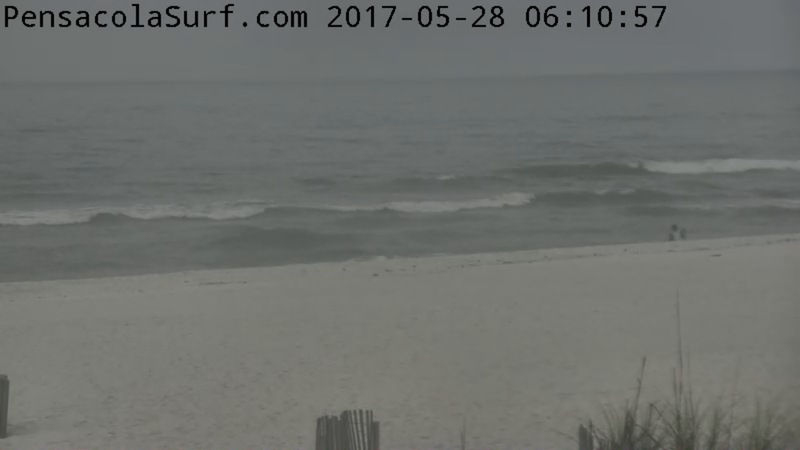 The waves are still rolling in at a perfect size to take your kids out for a surf lesson. 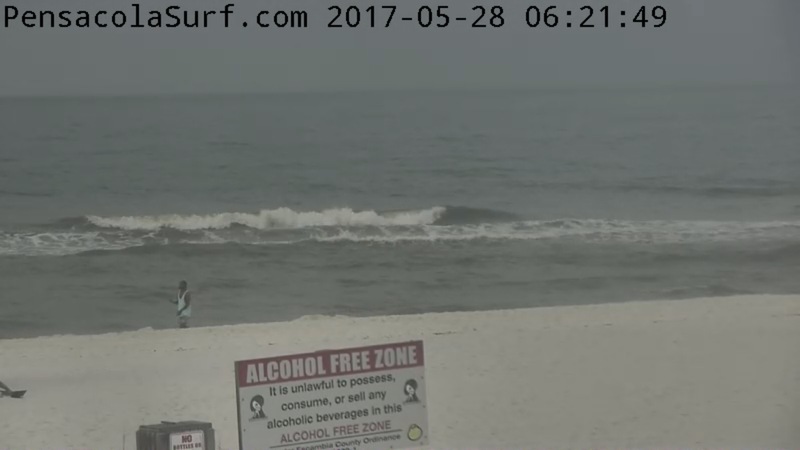 They look to be about knee high, but you may be able to find a thigh to hip high set on the right sandbar. Have a great Sunday!